As soon as I saw the forecast for temperatures in the 90s, I started searching for a place to keep my toddler both cool and busy. 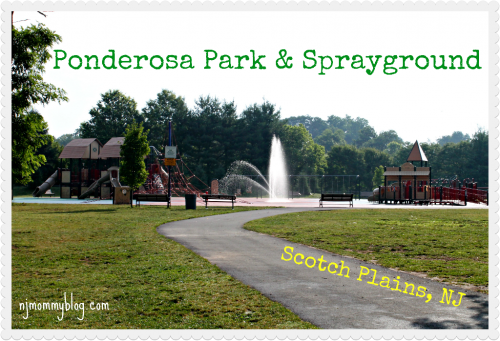 This week, we headed over to Ponderosa Park and Sprayground in Scotch Plains, NJ. Posted in Family, Family Day Trips, Travel. Tagged NJ, park, parks with water, playground, Ponderosa Park, Scotch Plains, sprayground.